Blizzard is one of the best game developers in the world with huge titles like World of Warcraft, Diablo and Hearthstone under its belt. In addition, Blizzard is also leading the FPS scene with Overwatch. This game developer’s goal is to provide players with all types of games they need, and Hearthstone is a great example of that. Card games are usually seen as boring, but this is not the case for Hearthstone. Blizzard has a reputation for taking game genres and bringing them to the next level and this is exactly what happened with Hearthstone. 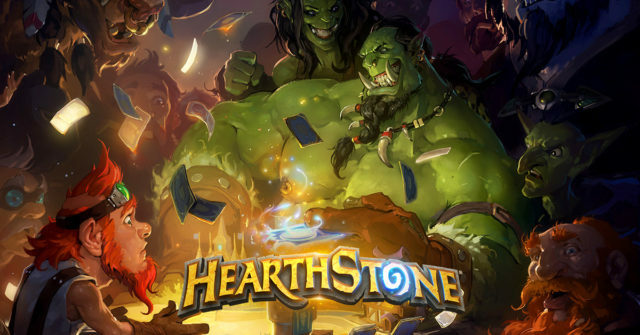 When Blizzard first announced that it’s working on Hearthstone, many people were skeptical about it since card games are not known for their fun gameplay. However, Blizzard worked its magic and managed to create the most popular card game ever made. The main reason why Hearthstone is so popular is not only because of the graphics and complex gameplay, but because its based on the lore provided by World of Warcraft. In case you didn’t know, World of Warcraft is the King of MMOs and it has been around for nearly 14 years. This shows us that Blizzard is able to keep people’s interest through updates. Players get the chance to earn new and cool card backs by winning 5 matches.